As one of the richest racing weeks in North America, the Festival will feature 9 stakes races worth $3.6 million. The grand finale will be the $1 million Arkansas Derby. Who will win the Derby? Last year’s Derby winner, American Pharoah, went on to win the Triple Crown! The infield will be open with a craft beer garden, live music, and a kids zone. Post times will be 1p.m. on Saturday, April 9, 12:30 p.m. on Derby Day, Saturday, April 16, and 1:30 p.m. all other days. Admission is free (some reserved seats are available), and lawn chairs and blankets are encouraged for the infield. If you don’t have a fancy hat or suit, don’t worry. Oaklawn’s dress code is casual, but it is fun to watch all the fashion (or lack thereof) on Derby Day! If you miss the Arkansas Derby, you’ll have to wait until January 2017 to see another live race. 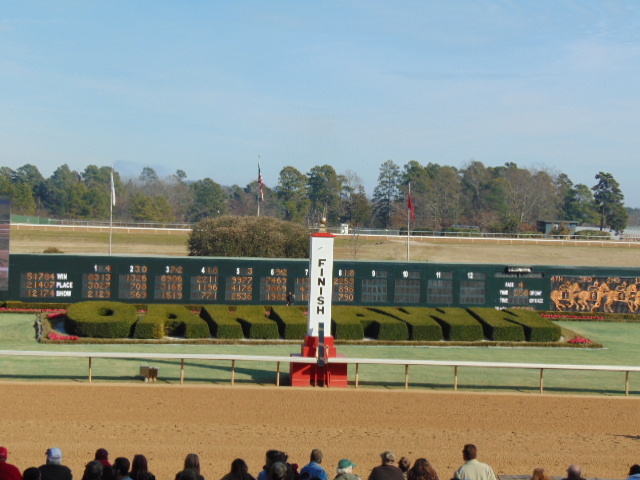 So pack your bags for Hot Springs and come enjoy some of the top racing in the country!